Many horse bones and horse-related objects were found. The site lies just outside the city walls and it appears that this was an area where horses were grazed, but perhaps also stabled or hired out and where their carcasses were disposed of. 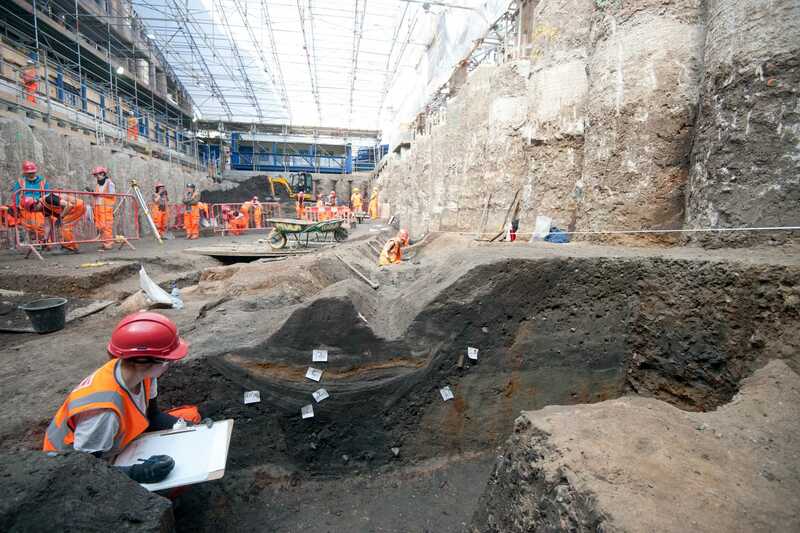 The image below shows some of the 17 hipposandals that were found, the largest number from one excavation in London. Hipposandals are temporary iron horse, or oxen, shoes. The undersides are scored to grip better on smooth road surfaces. 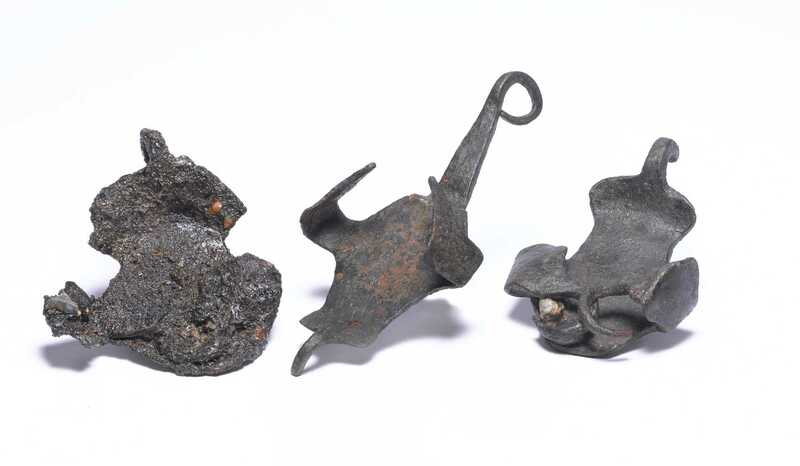 Other transport-related items include a terret (horse harness ring) and an ox goad for prodding animals. A quarter of all the animal bone recovered came from horses, mainly found associated with the construction and repair of the road and use of the ditches. Most Roman horses were the size of a modern pony, but three of those found were quite large and may have been cavalry horses. Some of the horse bones have knife marks indicating the flesh had been removed. The Romans did not eat horse meat, so this is likely to have been removed for dog food.